With a distinct crispness in the early morning air these past weeks you may be thinking ahead to the holidays and all the fragrances associated with the festivities including the notable fragrance of pine. 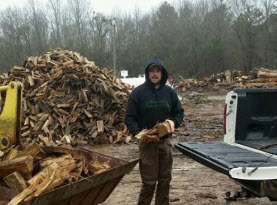 Not only are pine trees both majestic in appearance and abundant in fragrance, they are also easy to grow and maintain and are a popular choice in the south for both homeowners and professional landscapers alike. Many species of pine trees live between 100 and 1000 years, pine trees are also the most well-known of all coniferous trees in the world. Botanists have estimated that there are approximately 125 species of pines throughout the world with 112 found throughout the United States alone. The height of the pine tree ranges from between 45 to 135 feet. Some species including the ponderosa pine can exceed 250 feet in height. •	Pine Tree Needles: Pine trees have needles that are thin and pointed instead of leaves and range in length from one to six inches. The needles are dark green in color and grow clustered together. Some species of pine produce needles with a blue tint. Pine trees are evergreens which mean the needles do not fall during the winter months. •	Pine Tree Cones: The pine tree does not produce fruit but instead produces cones which contain seeds. The cones themselves are used to decorate wreaths during the holidays as well as centerpieces and many other types of floral arrangements. •	Scotch Pine: found throughout North American and grown commercially as a Christmas tree. •	Ponderosa Pine: a popular choice among professional landscapers it is an excellent choice for providing a windbreak on larger sized properties. •	Bristlecone Pine: is one of the shortest species of pine that grows on average to 20 feet and is a popular choice among homeowners. •	Black Pine: often referred to as the Austrian Pine, it grows approximately 60 feet in height and is easy to maintain with dense, dark green foliage. Pine trees are naturally hardy but like many other species of trees, they can be susceptible to disease including canker disease, needle cast, white pine blister rust, root rot, and beetle infestations. 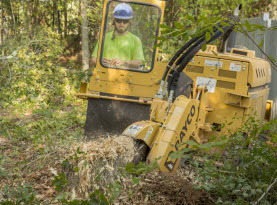 If not correctly treated, disease can weaken a pine tree and even kill it. Signs of an infected tree include needle discoloration, defoilation (stripping of pine needles) and holes in the trunk. 1. Do Not Over Fertilize: Young pines require fertilization annually for the first five years in either the early spring or late fall. Pine trees older than five do not require fertilization. 4. Do Not Overwater: A mature pine is drought-tolerant and requires very little water. Pine trees thrive in conditions which include full sunlight, never plant a pine tree in the shade of a building or under the canopy of larger trees. 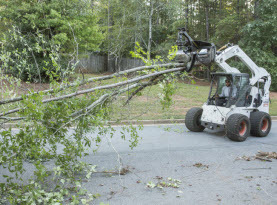 If you are looking for a full service tree care company in Henry, Clayton & Fayette County, GA contact the knowledgeable experts at Milam’s Tree Service today. 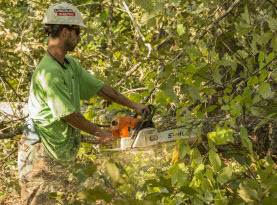 Our comprehensive tree services include: tree trimming & pruning, stump grinding & removal, and emergency tree removal services and much more!